At the end of the day, hard work feels good because once you have worked hard, you have accomplished something. Human beings like setting goals, working their way towards goals and sooner or later, accomplishing those goals. Progress makes us feel happy. And hard work equates to faster and larger amounts of progress. But sometimes we need to put things into perspective and get some motivation to keep us working hard. 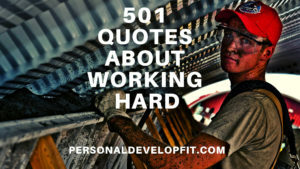 That is why I created a list of quotes about working hard and hard work quotes. To lets you and I gain some good motivation to keep moving forward with our goals and dreams and create a life others could only dream of creating! 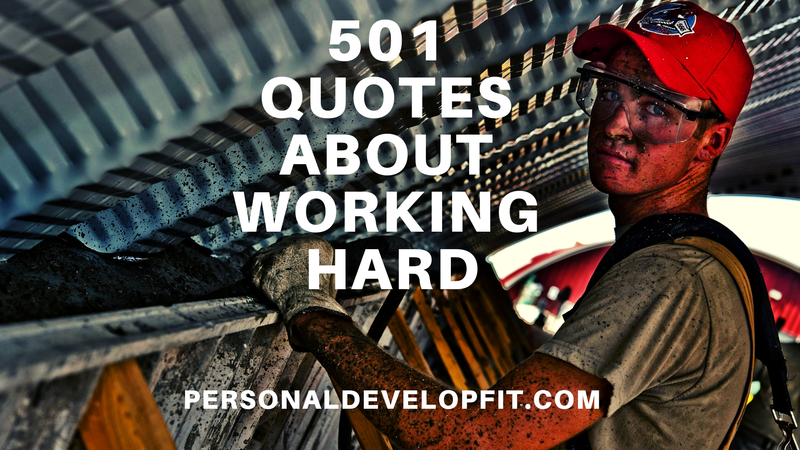 “Neither gold, nor diamonds mine themselves.” – Johnnie Dent Jr.
“All labor that uplifts humanity has dignity and importance and should be undertaken with painstaking excellence.” – Martin Luther King Jr.
“Work hard, stay positive, and get up early. It’s the best part of the day.” – George Allen Sr.